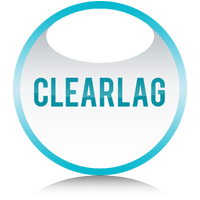 Clearlag was designed to reduce lagg on Bukkit/Spigot servers by removing entities, and preventing it through it's many optional features. Of course this plugin can't fix all lag, but it does clear most of it. If your using a larger server with 20+ players, simply using the /lagg clear command can drastically decrease RAM/CPU usage by simply removing your configured entities. If you are having issues or cannot get the plugin to function properly, feel free to open a ticket, explaining your problem in detail will help me help you! This plugin contains an auto-updater which will request, or download, updated files of Clearlag directly from this page. To disable this feature, open the config.yml, under plugins/Clearlag, and set auto-update to false. Also here is the pastebin of my config that I posted back then that shows that it is set at FALSE. UPDATE: It seems the issue is caused with a client side LiteLoader mod called AutoFish (ver 0.7.4). Bobbers stay just fine as soon as I disable that mod. It is so strange that the bobber only clears AFTER ClearLag prints its output to the chat "[ClearLag] Removed x Entities!" I post this here in case anyone else comes here with the same problem. Clearlagg Admin Ethical config considerations for players. your plugin list might drop for players being wiped by clearlagg! Make sure you build a safe list so players dont rage quit etc. messages simply by changing the default clear messages to shorter ones. to build a safer list of ignore items. In reply to WilliamSteeves: .... You lose nothing on my servers! It's not Clearlagg, it's ignorant careless admins/owners. To the dev. Hello, thanks for reading this if you do. Any idea what might be causing that and how I can fix it? /lagg unloadchunks vanishes all holograms in nearby chunks. Hi, thanks for the tip and yeah. chunks better than it used to it dont do it nearly fast enough. also runs clearlag's chunk cleanup. The effect is FAR less chunks loaded than without the command. as and when required, instant chunk tidying on this server. I still dont know why holograms get ganked by the command though. It's your own fault for not conffing the plugin. Is there a way to limit wither_skulls with clearlagg? Has anyone figured out a fix for the bobbers getting cleared even though projectiles are set to false in both the auto clear and manual clear settings in the config? I posted the information bob7lrequested of me on Dec 19, 2017 but have not heard any more. I have a question and I would like the items to be deleted after 10 minutes and that the chat window will not appear until the last minute. how do I have to change this? It would be nice if you could help me quickly. Please add a mob whitelist for live-time ! Anybody can tell me if this module is working? #(In seconds) how often should clearlag try to spawn mobs? Congratulations for the Developer for this great plugin! Would you pls. clarify if the entities are set according the names on this list? Is anyone else having issues with 2.97 clearing bobbers all of a sudden? I have used ClearLag for years and have had projectiles set to false for a long time in both the auto and manual sections of the config. However, after updating to 2.97 they now get cleared when the auto clear kicks in. I checked the config and projectiles are still set to false. I have tried reloading Clearlag in the game and have restarted the server but they are still clearing. Great plugin man, just wondering if you have any plans of adding a command to see how long until the next clearlag will happen. Thanks! RE: I've been youtube-ing/googling how to open the ".jar", created a "RUN.bat" file to open/run the "Clearlag.jar" file, yet the command prompt opens for a second anfter running the "RUN.bat" then closes immediately granting no results. .jar is a container (Such as a .zip file), used by Java. All the files within the jar file are generally compiled into bytecode so there's not really a reason to view it. Once the .jar file is in your /plugins folder, Bukkit (Or Spigot), will load it and run it once you start the server. When do the plugin clear the chunk-limited entities?